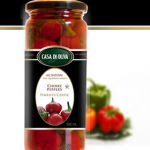 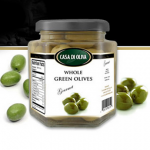 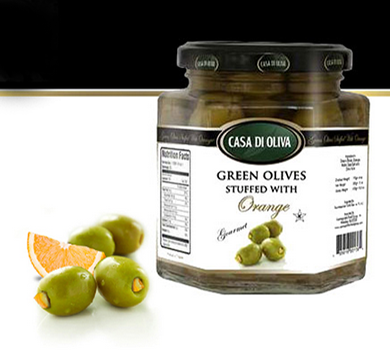 Our stuffed olives are delicately hand stuffed and have always been a favorite product for our customers as both a colorful garnish and as an ingredient in various recipes for salads and entrees. 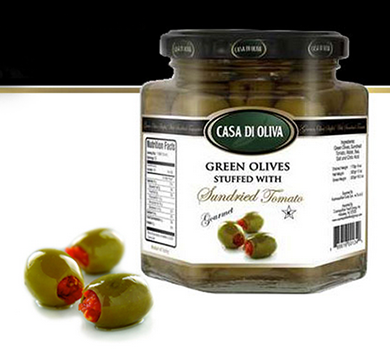 The first step in creating hand-stuffed olives is to clip off the tip of the olive and remove the pit from the main body of the olive leaving a empty cavity. 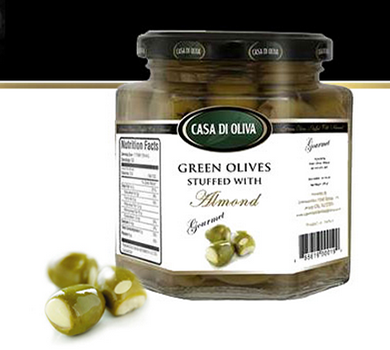 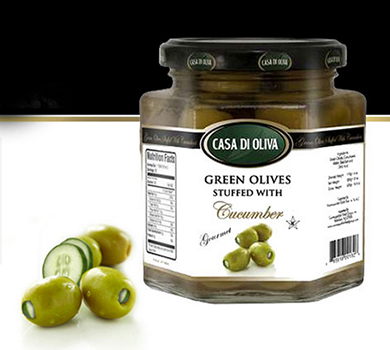 The hand-stuffed olive is simply a green olive that has vegetables and or fruits inserted into the olive replacing the pit, after it has been removed.